Yesterday, 27/09/2017, we had the pleasure of having our CPR and First Aid updated by First Aid Action. Luella, the trainer was more than helpful with meeting the requirements of all individuals on the day who ranged from first time to refresher. Luella’s knowledge was vast and she spoke in laymans terms so that all could understand what the expectations were. The equipment used was in good order and easy to use, the scenarios for incidents were well thought out and all individuals on the day reported having learned many things. I would recommend First Aid Action to any business or persons who are looking to upskill or refresh. We are going to use them again. I am emailing you to thank you for the excellent CPR, advanced resuscitation and defibrillator training which you provided to Logan Heart Services this year. The training was structured extremely well, providing extensive practical training for all staff who attended. Your approach as a trainer is one that is highly professional and your methods of teaching were effective in ensuring that all participants received the best training possible. Once again, thank you for the time and effort you put into training the staff this year. I look forward to continuing the association between First Aid Action and Logan Heart Services for future training. The training courses that Luella delivers are first class. Her knowledgeable, energetic and engaging style ensures that every participant is actively involved in the learning process and completes the course with genuine life saving skills. It’s this, and the overwhelming positive feedback from our crews, that makes First Aid Action our exclusive first aid provider. I just wanted to congratulate you on a great first aid course. I have been attending first aid courses for 22 years and was a flight attendant for Ansett for eight years, where first aid was part of my daily life. In my experience your delivery of what can sometimes be a very dry and information rich content was done in a professional, informative and interactive way. I have spoken to many of my colleagues and we all feel the same way. It’s not often I put pen to paper, however in your case I wanted to ensure that you received this feedback. First Aid Action’s training programme is hands down the best civillian First Aid Course I’ve done. Luella’s lectures are interesting and thorough. She involves the trainee throughout the course and keeps them thinking and challenged, which is a much more effective way to learn the new additions and changes often made to First Aid Training. 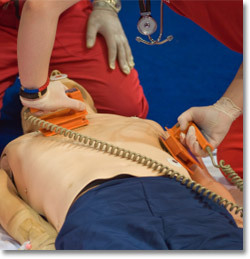 I will look forward to updating my certification annually, with First Aid Action as our Training Provider. I found the first aid course run by Luella Charles for First Aid Action was presented in a enthusiastic and informative manner. More importantly, Luella was able to cover all the aspects of first aid and CPR in one day instead of two, saving me valuable time. I would not hestitate to recommend her courses to my family, friends and colleagues. The Senior First Aid Re-accreditation course from First Aid Action was the best and most entertaining First Aid course that I have ever completed. The day passed quickly with all the practical activities that kept us busy throughout the course. Luella could answer every question competently and I left the course feeling very confident with my ability to administer first aid. Luella is a superb trainer and presenter. 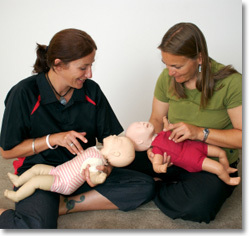 She provides a range of interesting activities and exercises to make first aid come alive. A wonderful day full of great practical activities appropriately intermixed with the theory. Luella’s open and friendly personality ensures everyone is comfortable throughout the day. The staff and management at Mufflerpro had recently joined the A1 exhaust group and in doing so decided to bring the business up to speed with all relevant standards. As part of this we approached First Aid Action to test and approve the staff in first aid treatment which we attended on a week-end day. I would like to say that Luella’s method of teaching and training were simple and easy to follow and she made the learning fun and the time passed quickly. Even our 16yr old casual staff member found the learning easy and thinks that all seniors in school should be made to take the course. 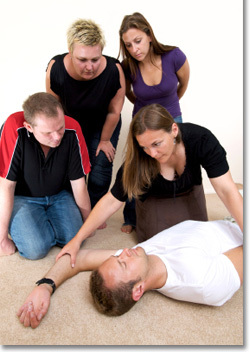 I would not hesitate in recommending First Aid Action to anyone wishing to learn first aid. I would like to thank you for an enjoyable and informative course. The content was delivered in an engaging manner that kept myself and my fellow students interested, thoughtful and most surprisingly awake. I will have to come back and do the advance resuscitation. Also thanks for all the help with my admin problems post course, it all added up to a rewarding experience. Hi my name is Jacqui and I’m the Coordinator for Ipswich Junior Grammar Outside Hours Care. And yes every year I have to do CPR and update my Senior First Aid, I have been doing First Aid courses for 13 years over this period of time I have found the course a bit over whelming and scared of the dreaded test at the and of the course. 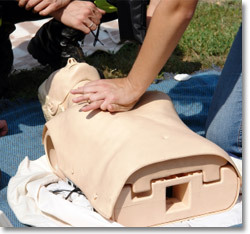 Then I went to a First Aid Action Course, it was so much easier and a lot more hands on. The advice that I was given through out the course was great, no more headaches over learning material. The workbook is given to you two weeks before the course so you are able to read over the information and work through the worksheet and bring it back on the day of the course. The exam is made up into four parts, so as you finish a section, you do the multiple choice questions. I would only ever go through First Aid Action now as it was great fun and I learnt a lot. I didn’t think I would say that about a First Aid Course. Thanks again for running the course for us. Thank you so much for the First Aid program on Tuesday afternoon at ASMY. You and Eileen (full size Manikin), really delivered the content in an engaging and memorable way and I am truly grateful to have this knowledge! I would like to inform you that the first aid training I did yesterday was one of the best I have done in years the trainer had an excellent knowledge of everything throughout the course. I have done a few first aid courses over the years but the one yesterday has to be one of the best out there, I would highly recommend using them again. Rob Carr (A Seymour Whyte Group Company).